Dental Visits Just Got Easier! 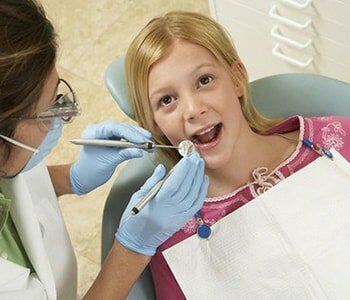 A pediatric dentist is a dental professional who specializes in caring for infants, children, teens, and those with special needs. 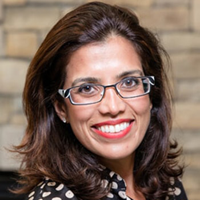 Sona J. Isharani, DDS is a board-certified pediatric dentist located in Greensboro, NC, serving families throughout the region. 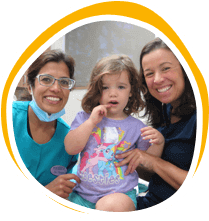 We recommend seeing infants by their first birthday in accordance with the American Academy of Pediatrics and American Academy of Pediatric Dentistry guidelines. Infants can begin getting their baby teeth, also called primary teeth, at six months of age. Typically, the lower two central incisors arrive first, followed by the upper two central incisors. Most toddlers have all 20 primary (baby) teeth by age 3. Every child’s teeth will come in on a slightly different schedule. Baby teeth, although only temporary, are incredibly important to oral health later in life. 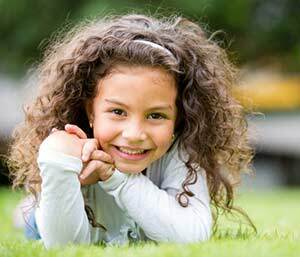 These teeth are essentially placeholders for permanent teeth, and their health can have an impact on the development of these future teeth. 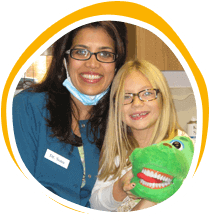 Many children, as well as adults, experience some degree of anxiety when visiting the dentist. We want to minimize this feeling. 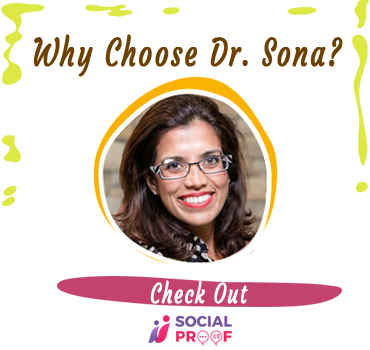 Dr. Sona and her team focus on creating positive dental experiences for their patients. 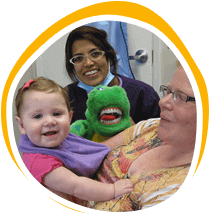 They want every child to have the very best dental care, which can lead to a lifetime of better overall health. 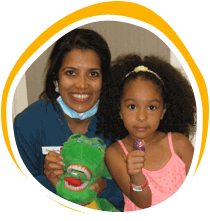 Make Sona J. Isharani, DDS your child’s new dental home. Schedule an appointment today. Cameron F. We took our almost 3 year old daughter in for her first "official" checkup. She had gone to my dentist office a few months ago, but would not open her mouth. Dr. Sona and Brittany were awesome with our daughter and she did great this time. Luckily, no cavities! All of the staff that we met were pleasant and welcoming. 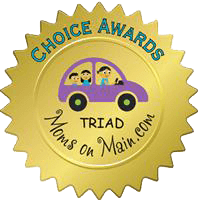 Happy to have been recommended here.